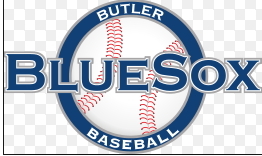 The Butler BlueSox were shutout 6-0 by Kokomo last night in the Prospect League. The Sox managed just three hits in the game. The loss dropped the Sox to a league-worst 11-25 this season. The victory moved the Jackrabbits to within 1-1/2 games of first-place Chillicothe. The BlueSox visit Kokomo again tonight. The post Sox fall to Kokomo appeared first on ButlerRadio.com – Butler, PA .